My website is hosted by Rochen, a company whose services I am very happy with. For reasons I understand they do not offer unlimited data transfer. My account, for example, comes with 50 GB per month. That is a lot and enough for most sites, including mine at this point in time. But I am selling software, and if a big news site writes about SetACL Studio the least of all things I want to happen is that Rochen suspends my account because the transfer limit has been reached. There are two possible solutions; three actually, but I do not want to change the hosting company. Of the two remaining solutions, scaling up is unattractive because moving to a bigger plan with a significantly higher transfer limit is very expensive. We are talking more than 10x here. When thinking about using a content delivery network one question comes up early: how to get my files into the network and how to do that in such a way that changes are reflected automatically? After all, when I update my WordPress theme I do not want to be bothered with uploading new or changed files to the cloud. And when I add or change an image in a blog post the new image needs to find its way into the cloud without manual interaction. Luckily, that problem has been solved. The method commonly used is called “origin pull” and works like this: whenever an object is requested the CDN has not cached yet, it downloads it from the source (my web site). The next time that object is requested, the CDN can serve it from its cache. Setting up a CDN is simple with W3 Total Cache: on the “General” page enable “CDN” and select “Amazon CloudFront” from the Combobox. 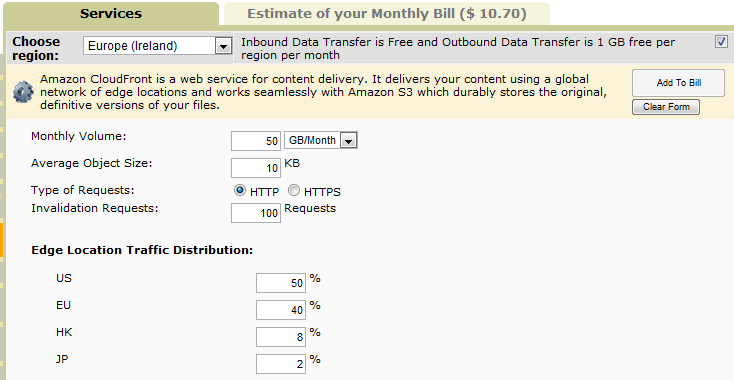 Make sure to select the item below “Origin Pull”; with “Origin Push” you would have to upload your content to Amazon S3 manually. Creating many CNAMEs potentially improves page load times because more objects can be loaded in parallel. 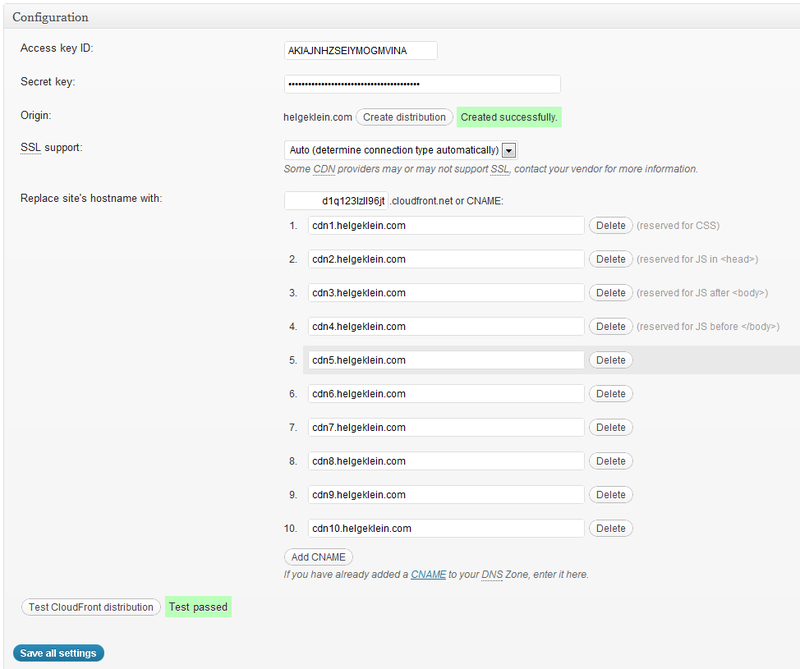 I added the newly created CNAMEs to the CDN configuration and to the properties of the CloudFront distribution. After previewing the new configuration I deployed it in W3 Total Cache. Practically all static content on helgeklein.com is now served from a server near you – this keeps my hosting costs down and improves the site’s performance for visitors from around the world. Sounds like a win-win! First of all thanks for this great guide! It helped to improve my site by at least 10 points. However I don’t understand what the advantage of creating 10 CDNs probably you could explain that alittle. I don’t know if W3TC can make use out of 10. I have 5 now and don’t know if they’re used properly. The advantage of multiple CNAMEs for your CDN is that the browser loads more files concurrently. Browsers have a limit of how many files they load in parallel per host. More hosts means more parallel downloads.